Our Minor team gave a very encouraging performance in Round 1 of the Minor A championship in Killeagh yesterday evening, in what was a very close encounter right the final whistle . Edel Lonergan was immense between the posts while Lucy Allens 3.2 proved vital. 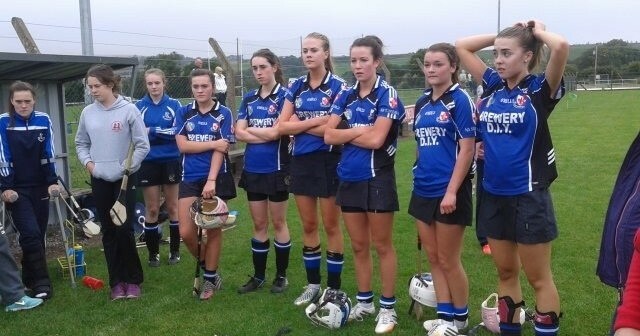 After Killeagh took a 4 point lead in the second half, the girls showed great heart to come back and draw the match. Ultimately scores from Julie Allen, Michelle Barry, Hollie Herlihy, Maeve Mc Carthy and a last minute point by Lucy Allen ensured the victory. A great team effort, epitomised by outstanding Lucy Kelly in the back line. Well done girls. Not only did the girls secure a round 1 win but history was also made yesterday evening in Killeagh, as it was the first time in the history of the club that we competed in the A grade of the minor competition. All the hard work and dedication to the underage system in the club over the past few years showing dividends.